This Code of Ethics outlines the essentials of responsible behaviors for the Parson Russell Terrier owners, exhibitors, potential breeders and breeders whose foremost aim should be the health and welfare of their dogs and the breed. Keep the welfare and health the first criteria in breeding or selling Parson Russell Terriers. No member should engage in false or misleading advertising or other misrepresentation of the Parson Russell Terrier. To encourage and promote the breeding of purebred Parson Russell Terriers and to do all possible to bring their natural qualities to perfection. Accept the breed standard of the breed as approved by the American Kennel Club as the only standard of excellence by which the Parson Russell Terrier is to be bred. Do not sell dogs to any commercial wholesaler or retailer. Nor donate dogs to auctions, raffles or research. Help purchasers with advice and instruction for the life of the dog and pass on knowledge. 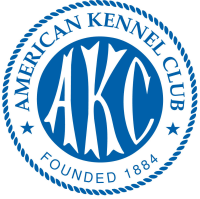 Encourage new persons interested in performance or conformation to attend AKC and PRTAA licensed events. Be willing to take back or assist in re-homing animals the member has sold/placed because of situations of circumstances that have changed in the life of the buyer. Members should always exhibit their dogs in a condition set forth by the standard. Dogs should be clean, not sculpted, without excessive use of product and of proper temperament. 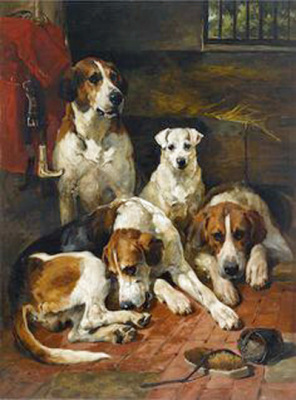 Knowingly, exhibiting dogs of inferior quality to build championship points is a detriment to the breed and must be avoided. In the interest of good sportsmanship, members should make every effort to exhibit their dog each day they are entered. Obviously, circumstances arise where one may need to be absent, but deliberating pulling an entry to break points is highly discouraged. Make puppy sale referrals only to those member/breeders who are believed to adhere to the above. Comply with all American Kennel Club and Parson Russell Terrier Association of America rules where they apply. Cyber bulling (using an electronic device or social networking sites to intimidate, harass or gossip by emailing, texting, posting or sending messenger photos) is considered prejudicial to good sportsmanship. No member should communicate in a false or misleading manner by means of the internet, telephone or email. Behave in a sportsmanlike manner and not disparage other owners, exhibitors, breeders or their dogs. Display good sportsmanship at all times. The AKC/PRTAA strongly supports public accommodations that allow individuals with disabilities to use service dogs. The AKC/PRTAA strongly condemns characterizing dogs as service animals when they are not, or attempting to benefit from a dog's service dog status when the individual using the dog is not a person with a disability. Consistent and/or flagrant disregard for the Code of Ethics constitutes conduct prejudicial to the breed and or the club.